(b) Engage the 2 clips and 4 guides. 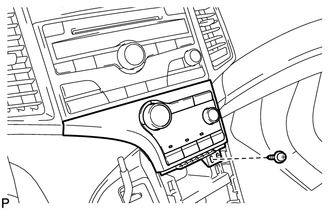 (d) Install the air conditioning control assembly with the screw. 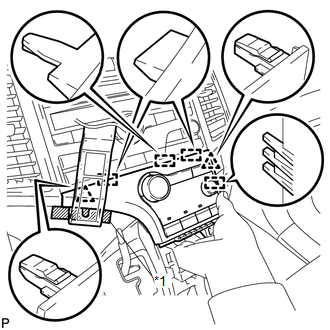 (b) Apply protective tape to the area shown in the illustration. 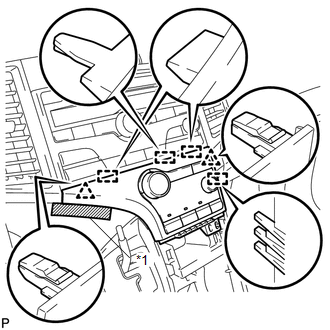 (c) Using a moulding remover, disengage the 2 clips and 4 guides as shown in the illustration. 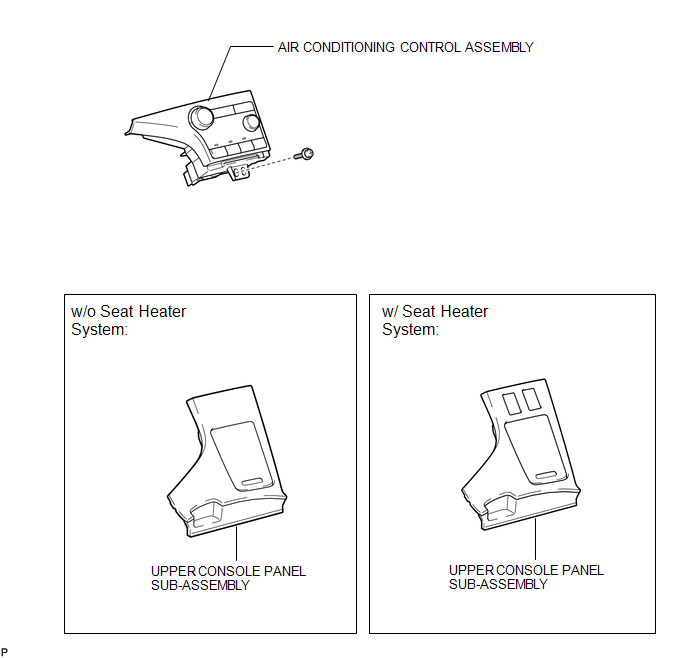 (d) Disconnect the connector and remove the air conditioning control assembly.